Are You Losing Touch with Your Support Network as a Family Caregiver?|Perfect Gentle Hands Home Care Agency Caregiver Brooklyn NY-Being a family caregiver is extremely rewarding but it can mean that it's more difficult for you to maintain your own support network. These ideas can help you get back in touch with the eole who matter to you. As a family caregiver, your support network consists of everyone in your life that you love and that want the best for you and your aging family member. Because caregiving can be so intense, though, you might find that you lose touch periodically with these people that you love. Caregiver Brooklyn NY – Are You Losing Touch with Your Support Network as a Family Caregiver? One of the most important aspects to remember about keeping in touch with the people who love and support you is that you do need to make time to do so. When you’re less busy, it’s easier to figure out when to do this. As time and energy become limited resources, however, it’s a little tougher to keep up with this. Consciously make an effort to reach out to the people you love at least a few times a week. As a family caregiver, you’re likely to be in situations where you meet new people. They’re likely to be other caregivers and usually when you are helping your elderly family member in some manner. 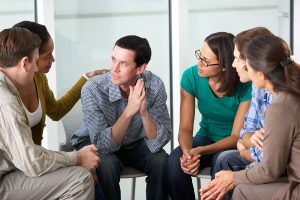 You may also meet new people at support groups. These are folks who are more likely to understand the demands of caregiving and can help you to balance your different responsibilities more effectively. How you communicate with the people that you love can be just as important as how often you communicate. If you’re short on time or you tend to have time at hours that aren’t convenient for other people, consider using emails or even handwritten notes that you can mail. Text messages might be a good idea for quick messages during the work day. If you’re not taking time away from caregiving, you really should be. Having respite care options, such as senior care providers you can call on, gives you an opportunity to make time for actual in-person get togethers with friends and family members. Don’t forget also that friends and family can help you get the respite time you need. Having your own support network is part of your self-care routine that you really can’t afford to ignore. If you or an aging loved one are considering Caregiver Services in Brooklyn NY, please contact the caring staff at Gentle Hands Home Care.